ETH price started a nice uptrend above the $155 and $165 resistances against the US Dollar. The price traded as high as $180, corrected lower, and now preparing for the next upside break. There are two bullish trend lines in place with support near $159 and $153 on the 4-hours chart of ETH/USD (data feed via Kraken). The pair remains in a strong uptrend and it is likely to climb towards $180 and $200 in the near term. Ethereum price is following a solid bullish path versus the US Dollar, but struggling against bitcoin. 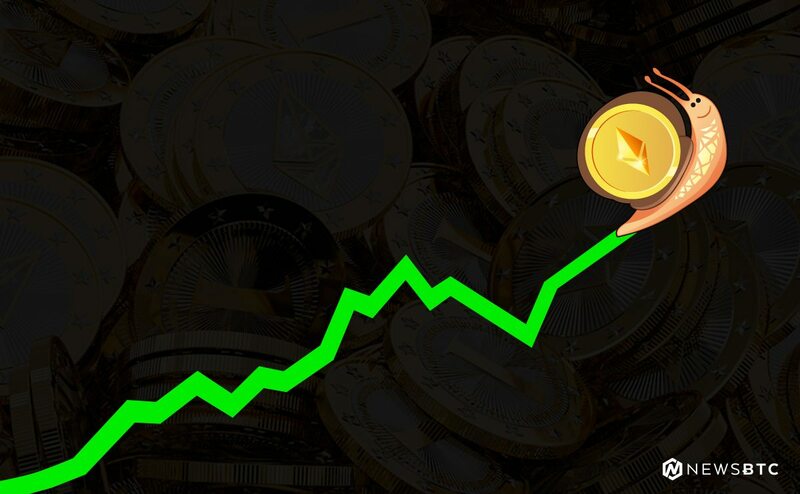 ETH is likely setting up for a fresh increase for $180 and $200, while BTC is already gaining momentum. This past week, ETH price started a strong upward move after it broke the $140 and $145 resistances against the US Dollar. There was a nasty rise above the $155 resistance level and the 100 simple moving average (4-hours). Buyers gained control and pushed the price above the $165 and $170 resistance levels. The price traded to a new yearly high at $182 and later started a downside correction. There were a few swing moves, but finally a low and support was formed near the $154 level. Ether price recovered recently and moved above the $165 level. There was a break above 50% Fib retracement level of the last correction from the $180 high to $154 swing low. However, the price seems to be facing a strong resistance near the $170 and $172 levels. Besides, the 61.8% Fib retracement level of the last correction from the $180 high to $154 swing low also acted as a hurdle for buyers. At the moment, there are two bullish trend lines in place with support near $159 and $153 on the 4-hours chart of ETH/USD. More importantly, it seems like there is a breakout triangle in place with resistance near $170. A successful break above the triangle and $172 is likely to push the price higher. The next stop for buyers could be near the $180 swing high. Above $180, the main target is likely to be $200. The above chart indicates that Ethereum is clearly trading with a positive tone above $155 and $160. Even if there is a downside correction, the price remains supported near $160 and $155. Only a daily close below the $152 level and the 100 simple moving average (4-hours) might increase selling pressure. 4 hours RSI – The RSI for ETH/USD is currently positioned well above the 55 level.